I could keep you guessing right up to the time municipal council formally calls a by-election and nominations close, but I'm not going to. I've shared with Mayor Blake and a number of my former colleagues on council that I will not be running. It's a rather selfish choice, as I am so happy in my new life, working with the United Way, providing professional services to a number of other organizations, directing The Odd Couple, and painting portraits. It does not feel like the right time to put my name on the ballot again. "What was it like?" asked one person considering putting their name on the ballot. I shared that the three years I spent on council were outstanding; I wouldn't trade them for anything. It was the incredible learning experience that I knew it would be. Plus, I got to work with some smart, passionate, and visionary people, both on council and in the organization. It was a pleasure to convene as a group every Tuesday. And as all good politicians say, it was truly an honour to serve the residents of the Region. The election of 2013 was tough. I'd be a liar if I said otherwise. The Region was embroiled in a political maelstrom that resulted in several of us losing our seats, and a new council that was dynamic at best, fractious at worst. That upheaval inspired the audit that revealed quite a few shortcomings, that when addressed, will leave us stronger as a municipality. The current council, while at times bombastic and contrary, has done some good work. They have shaken things up, with the best interests of the community at heart. As we look forward, I think this by-election is an opportunity to ignite discussion about the direction of council and its commitment (or not) to the vision of the Municipal Development Plan and the City Centre Area Redevelopment Plan. We can also address contentious issues like the downtown arena and the Northside Rec Centre, and explore the philosophy of building today for the craziness that will return when oil prices rebound. This by-election is a time for engagement, discussion, debate, and civic involvement. If anyone is thinking of running, I would say three things. First, make sure it fits and sits well with your family and work. Having their support and belief is critical. 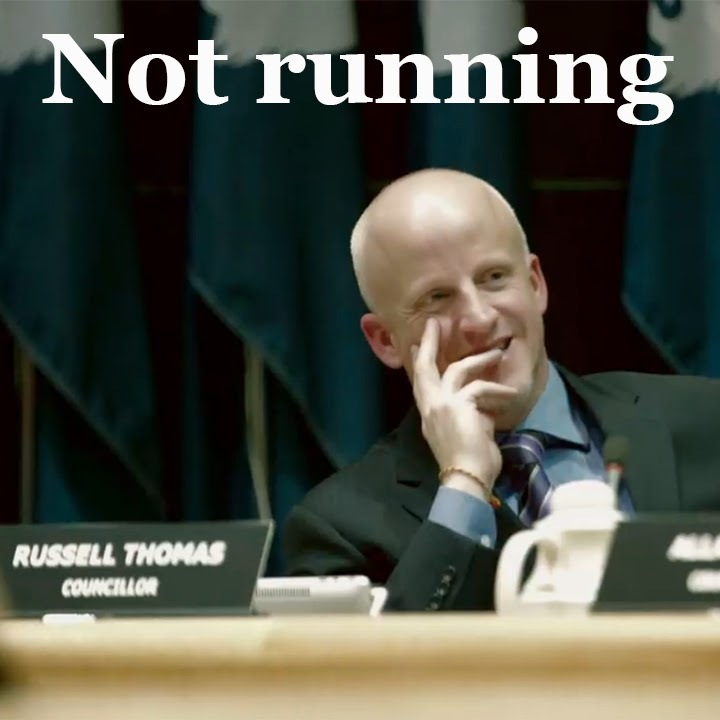 Running for council is not for the light of heart. It is hard work, if you are serious about winning. Second, get super familiar with the current sate of affairs by attending council meetings, reading planning documents (they are all on the RMWB website), and talk to current and past member of Council. I can only speak for myself, though I know most of my former colleagues would feel the same; I will happily talk to anyone who wants to better understand what life as a councillor is all about. Finally, and most importantly, it needs to not only feel right to you, it needs to ignite a fire in your belly. That fire will drive you forward, and sustain you through the rigorous weeks of campaigning. Meanwhile, I will continue to serve this community in other ways. I'll be cheering on the process from the sidelines, trusting that the electorate will chose the best candidate for the challenges and opportunities that lie ahead.